At a time of momentous shifts in the balance of world economic forces epitomized by the current oil price boom, the weakening US dollar and the global credit crunch; the meteoric rise of the Arabian peninsula cannot be understated. Neither, therefore, can their planned monetary union. As key suppliers of the world’s oil and gas the Gulf states have accumulated vast wealth: taken together their sovereign wealth funds are by far the world’s largest and the influence of these funds is becoming increasingly apparent. 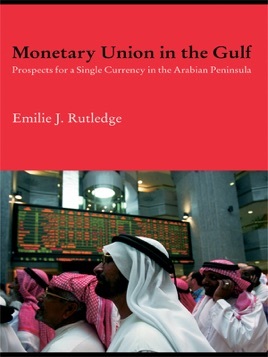 This book provides a thorough analysis of the scheduled 2010 monetary union. Its findings are based on both primary research and a detailed empirical analysis of the region’s economies spanning 1980-2006. It assesses the region against Optimal Currency Area criteria, the European Criteria, highlights outstanding preparations and considers the underlying economic and political factors that may aid or indeed delay the launch date. Critically this book argues that the present dollar-peg exchange rate regimes are no longer optimal. The future Gulf dinar is likely to seek a more independent path. The ramifications of this - a potential Islamic anchor currency and an alternative oil-invoicing currency - are also considered in some detail.